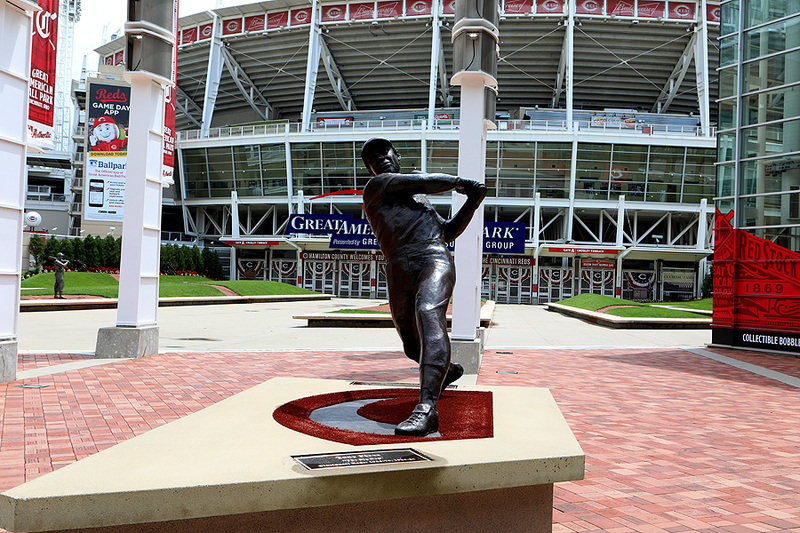 For my second day in Cincinnati, I chose to check out some of the special sculptures, statues and murals. 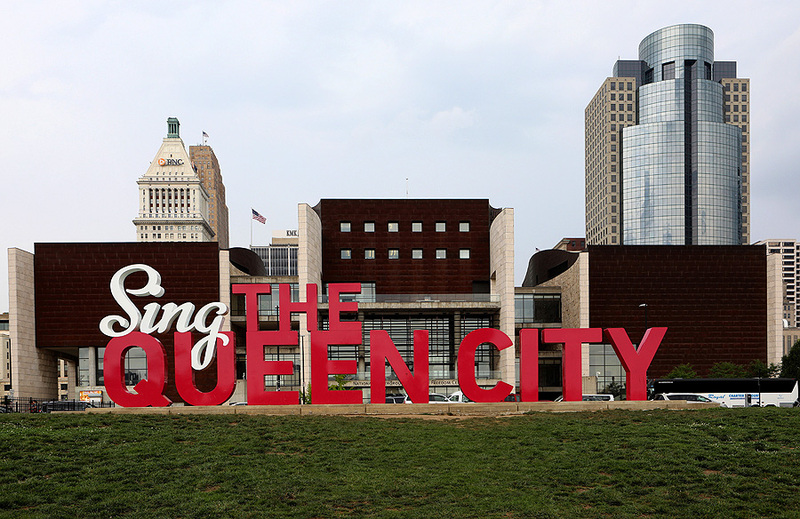 My first one was ArtWorks' “Sing The Queen City” 3D art sculpture on the Freedom Center lawn. 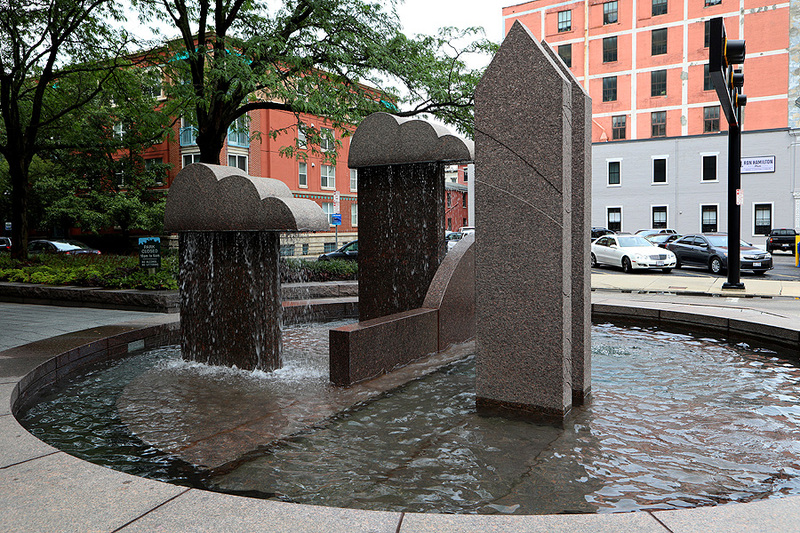 Next up was Stuart Fink's "Untitled Fountain" sculpture in Piatt Park. 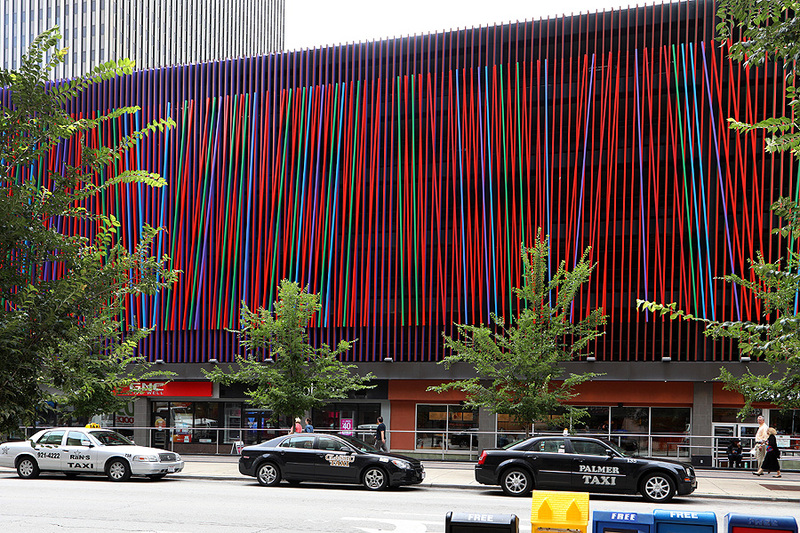 The next one I thought was very interesting… Julian Stanczak's “Additional” sculpture, which consists of 522 aluminum bars painted in meticulously planned color combinations. It looks really cool in person. 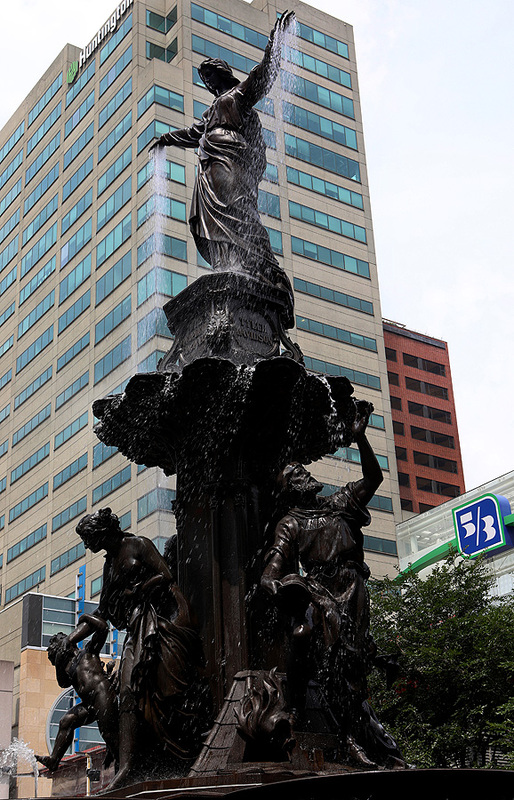 At the Public Library of Cincinnati and Hamilton County, I found Michael Frasca's Amelia Valerio Weinberg Memorial Fountain. 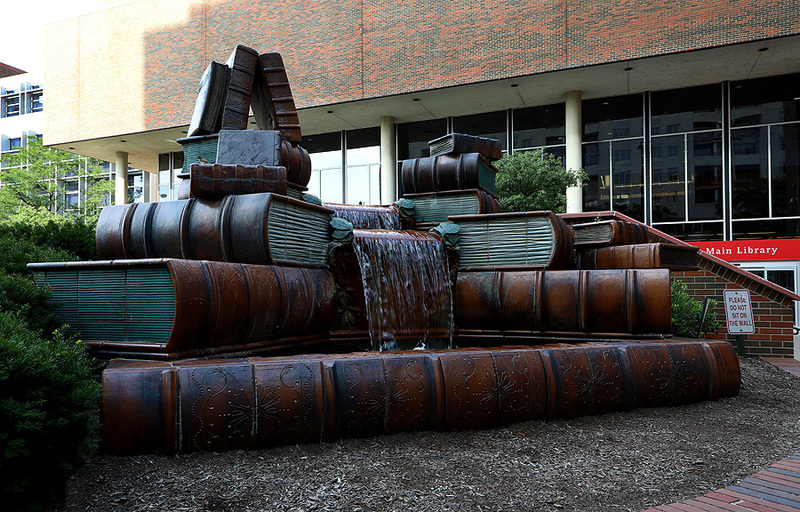 This sculpture is of a huge stack of books with a slick water fountain down the center. 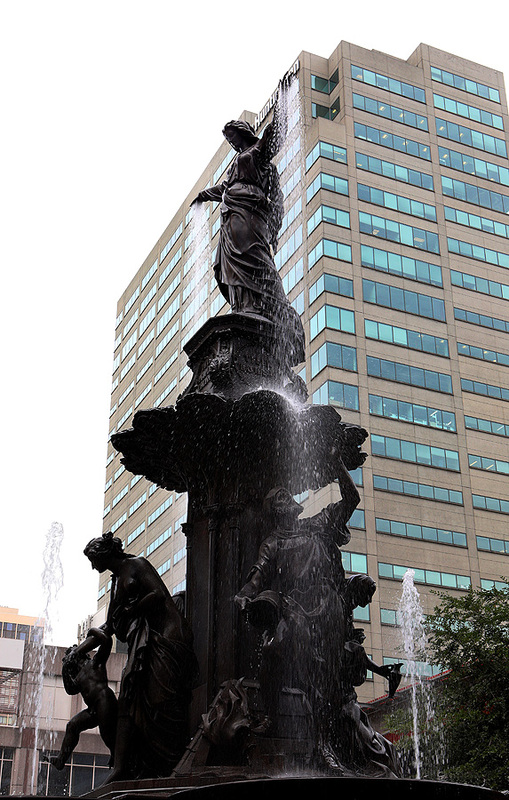 The centerpiece of Fountain Square is August von Kreling's Tyler Davidson Fountain or “The Genius of Water” fountain. 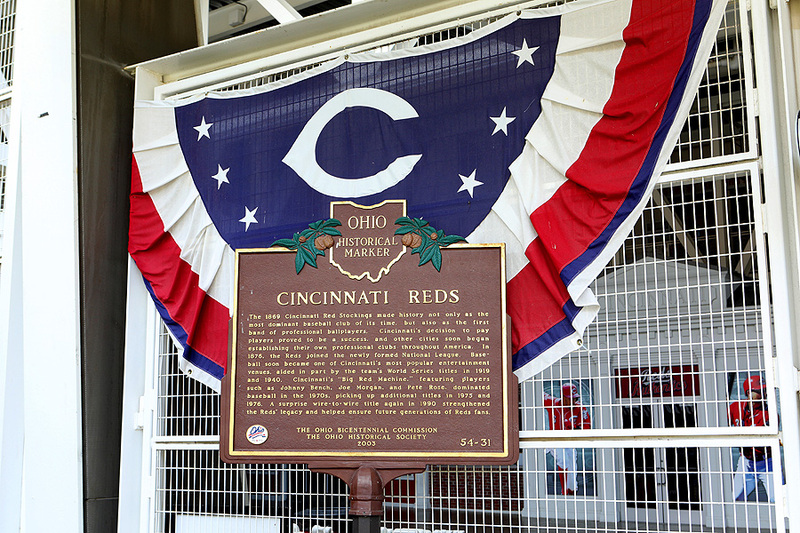 The next one I thought was interesting too, because I shot a similar one in Cleveland and I just found out that Louisville has one as well. 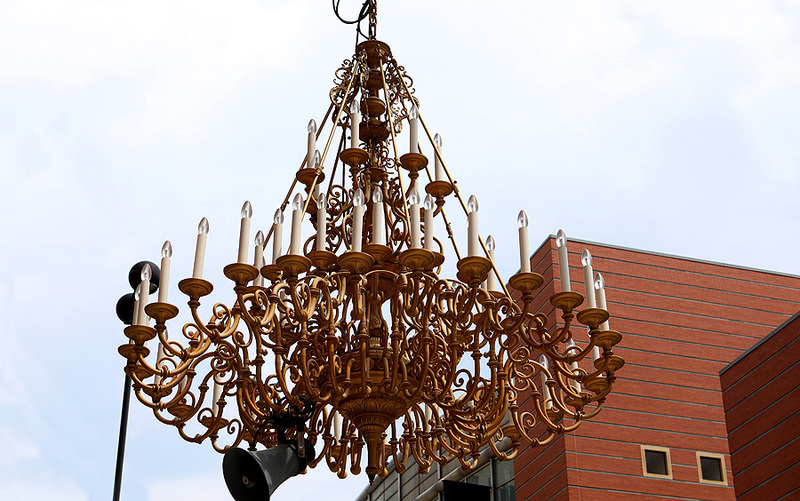 I’m talking about Werner Reiterer's “Untitled Brass Chandelier”, which sits outside the 21c Museum Hotel Cincinnati. 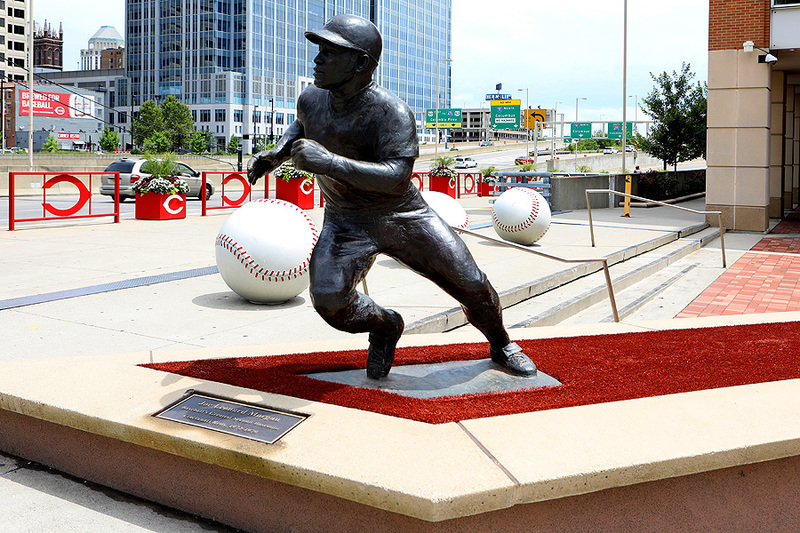 And yes, it lights up at night…although I didn’t see it, yet! 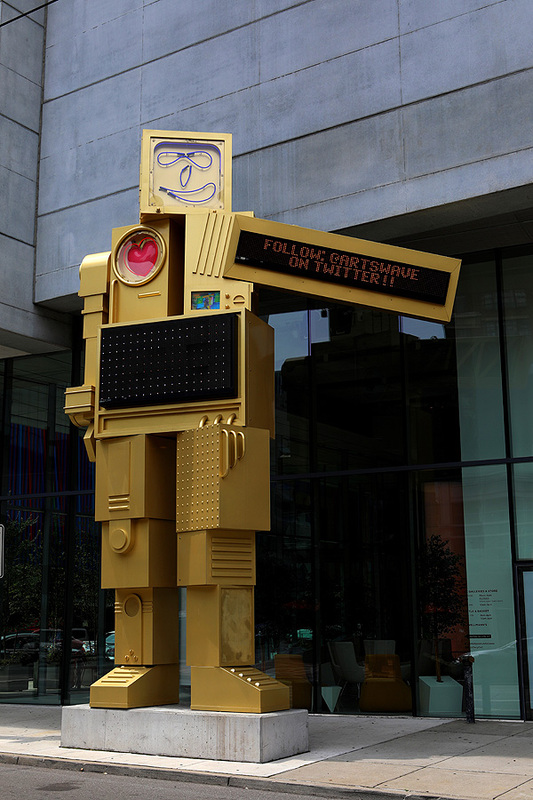 Nam June Paik's “Metrobot” sculpture sits outside Zaha Hadid's Rosenthal Center For Contemporary Art. 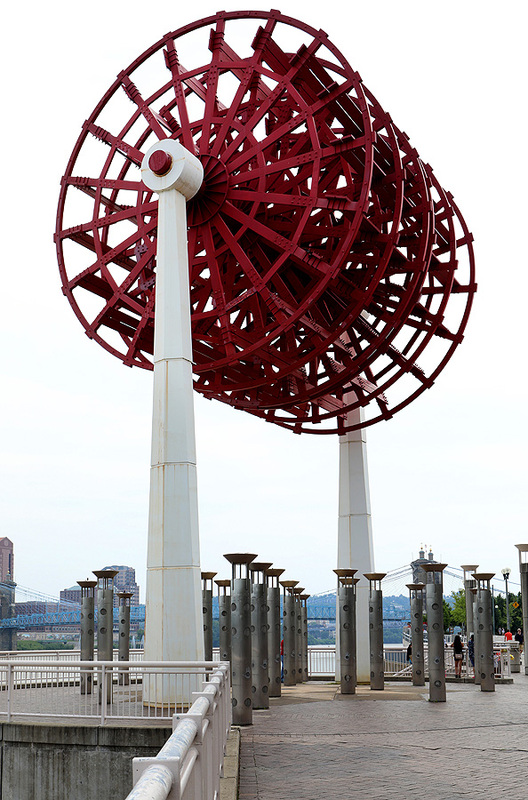 The sculpture was recently refurbished and brought out of storage to celebrate the Center for Contemporary Arts' 75th anniversary. 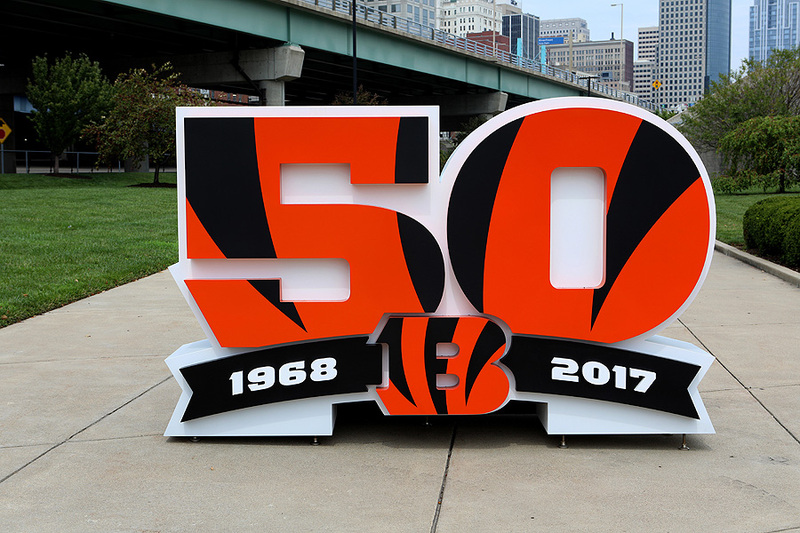 Speaking of anniversaries, the Cincinnati Bengals football team will be celebrating their 50th year, and have huge “50” markers on the grounds of Paul Brown Stadium. 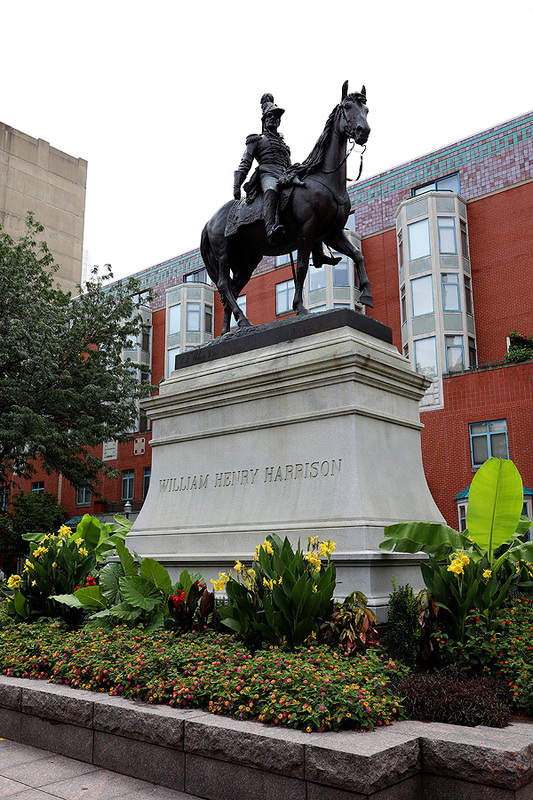 Louis T. Rebisso's William Henry Harrison statue sits in Piatt Park, and just outside Covenant First Presbyterian Church. 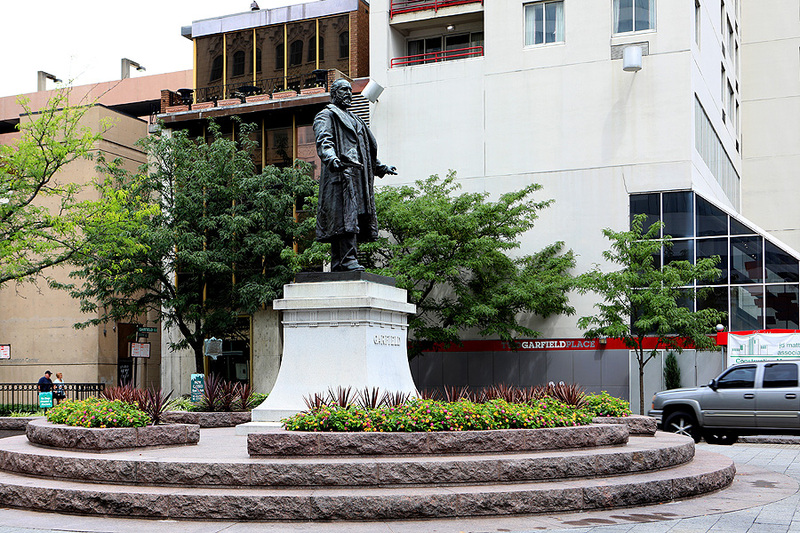 Charles Henry Neihaus' James A. Garfield statue stands at the other end of Piatt Park on Garfield Place. 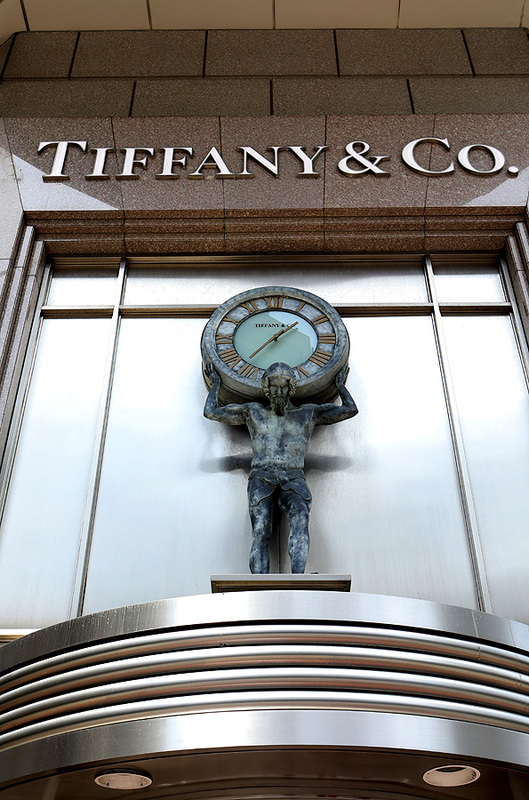 Back over near Fountain Square, I thought Tiffany and Company’s clock above the entrance was pretty cool and I couldn’t resist the snap. 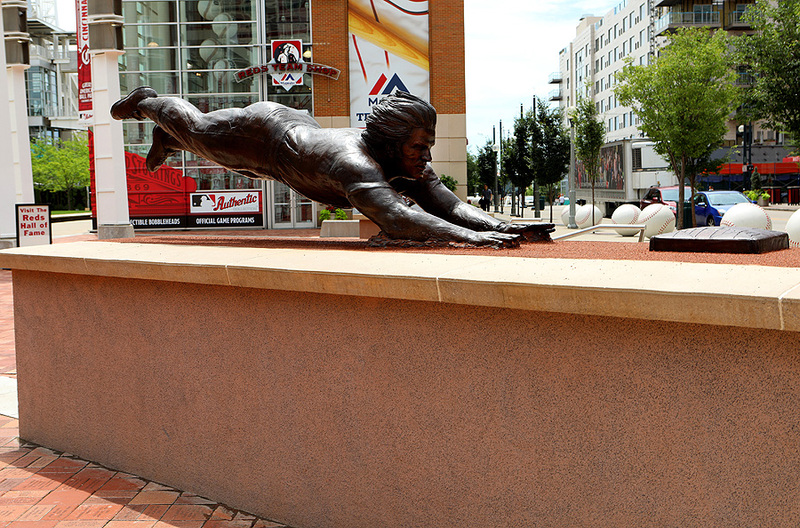 Whew, it’s lunch time. 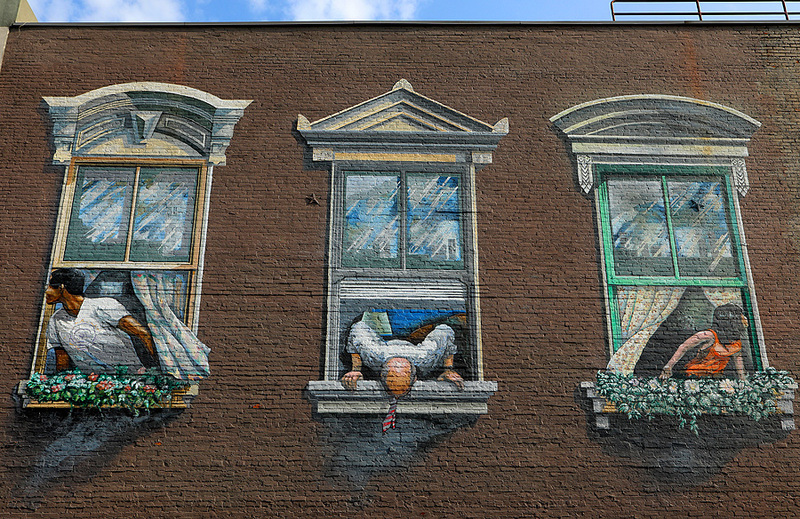 After lunch, I went “mural hunting”. 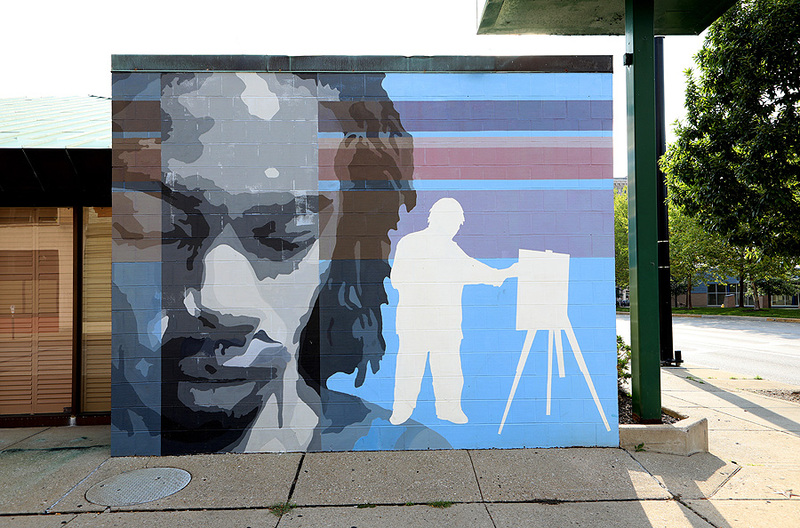 Most of the murals I photographed were in the same general area…the same block or the next few blocks over. 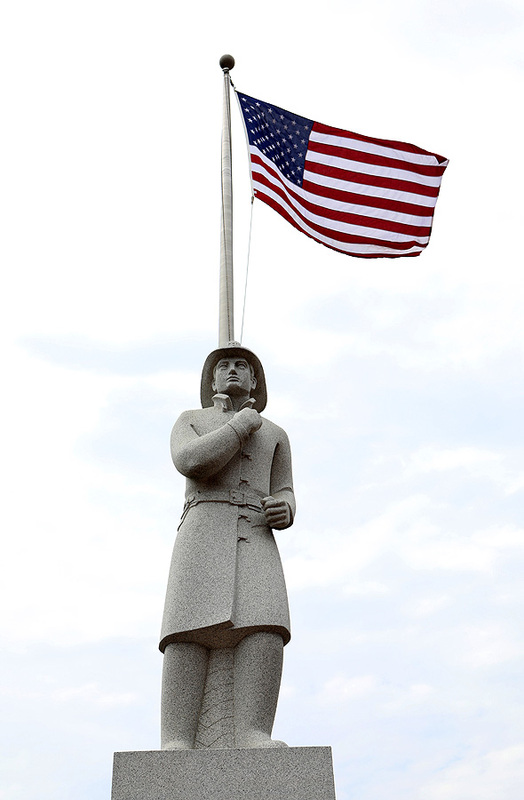 There were a lot of them, but I photographed as many as I could for the time I was in that area. 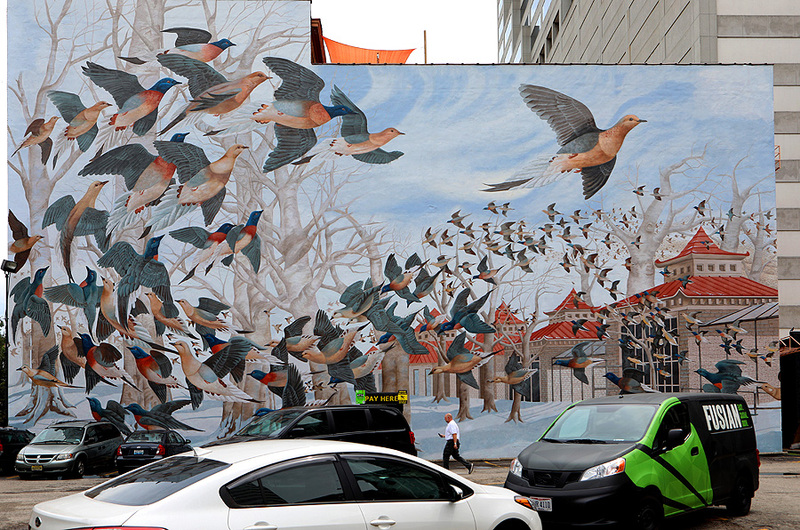 The first one I came across was John A. Ruthven and Tim Parsley's “Martha, The Last Passenger” mural, which is about Martha, the last "passenger pigeon", who lived out her last days at the Cincinnati Zoo. 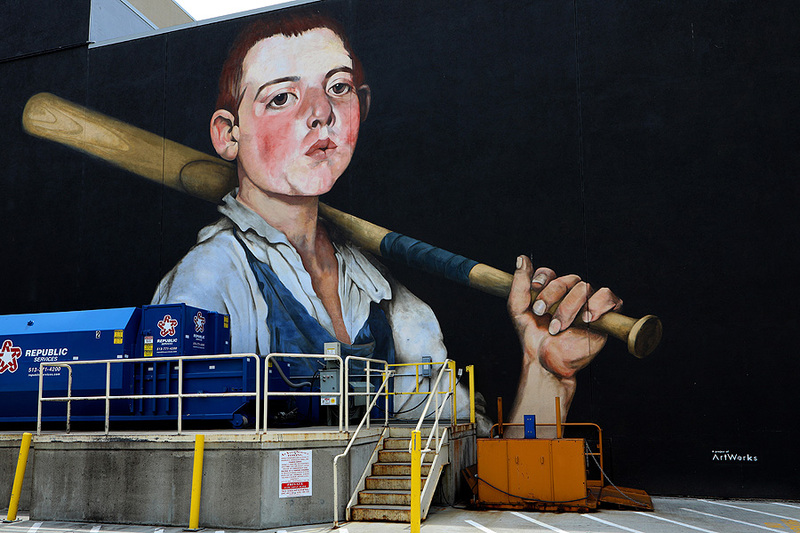 Next up was Tim Parsley's “The Cobbler's Apprentice Plays Ball” mural, which was inspired by one of Cincinnati’s most treasured painters Frank Duveneck and one of his most beloved paintings, “The Cobbler’s Apprentice”. 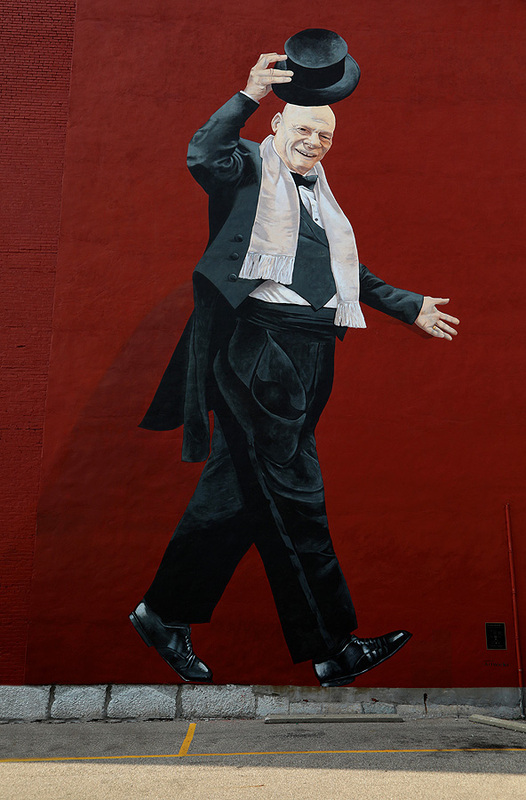 Another Tim Parsley mural is “Mr. 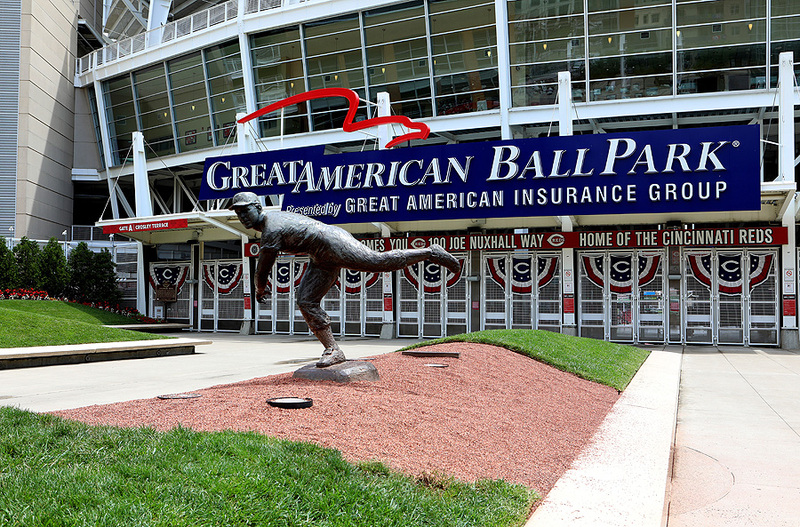 Tarbell Tips His Hat”. 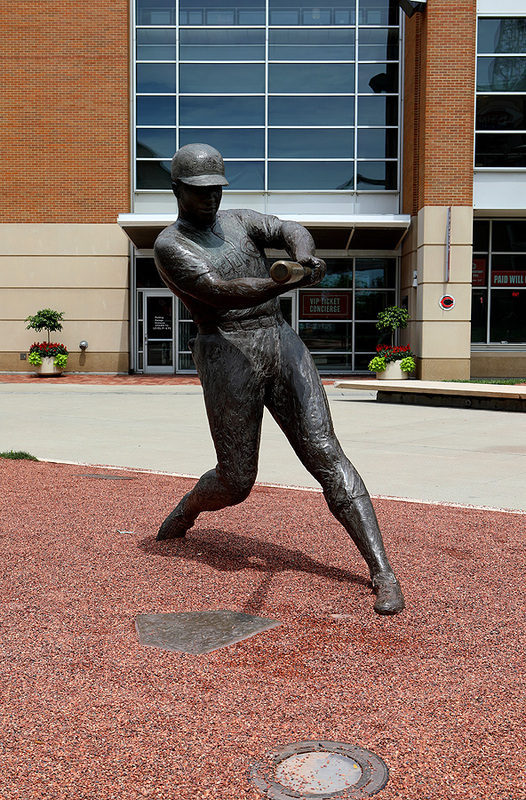 “What's Happening Downtown” by Ted Hedricks was down the street from this one. 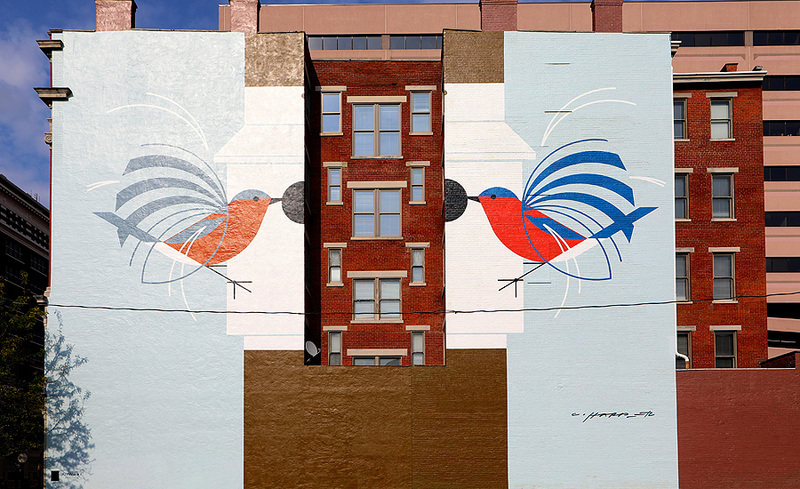 Charley Harper and Jenna Upstick's “Homecoming - Blue Birds” mural was a two-part mural I thought was pretty cool. 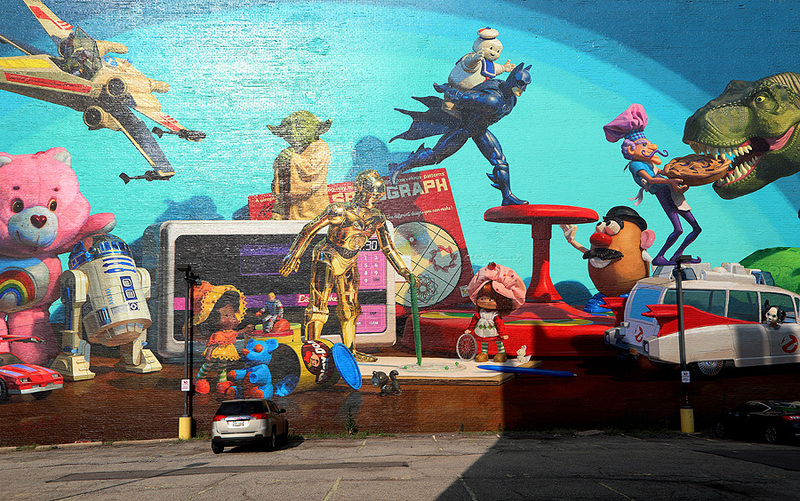 Jonathan Queen's “Toy Heritage” mural was kind of hard to photograph because it was so wide, and all the space I had was a narrow alley. But I did manage to get most of it in frame. 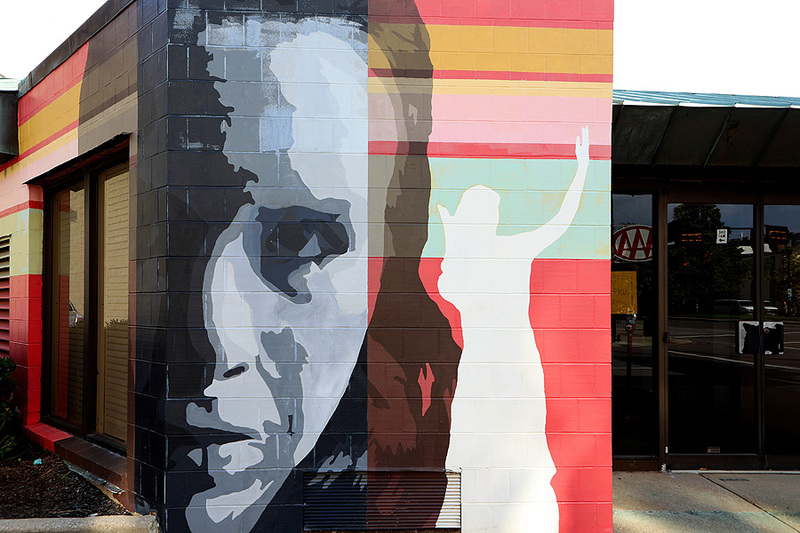 Yet another Tim Parsley mural were two “The Face Of The Arts” murals, which stood side-by-side. 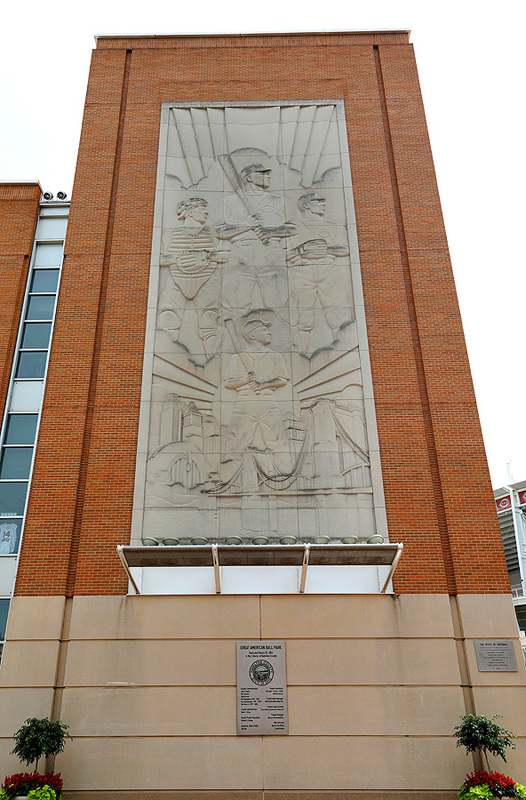 Richard Haas' “Cincinnatus” mural is a photographer favorite, I was told. 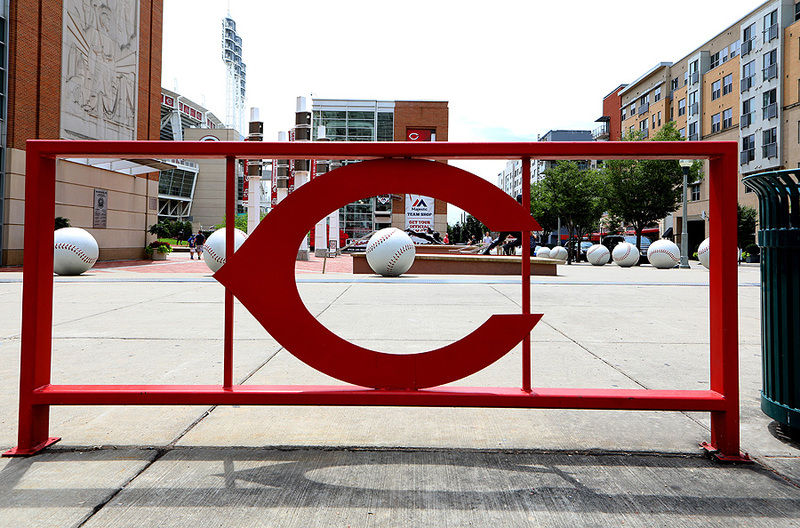 And once I saw it, I can see why. 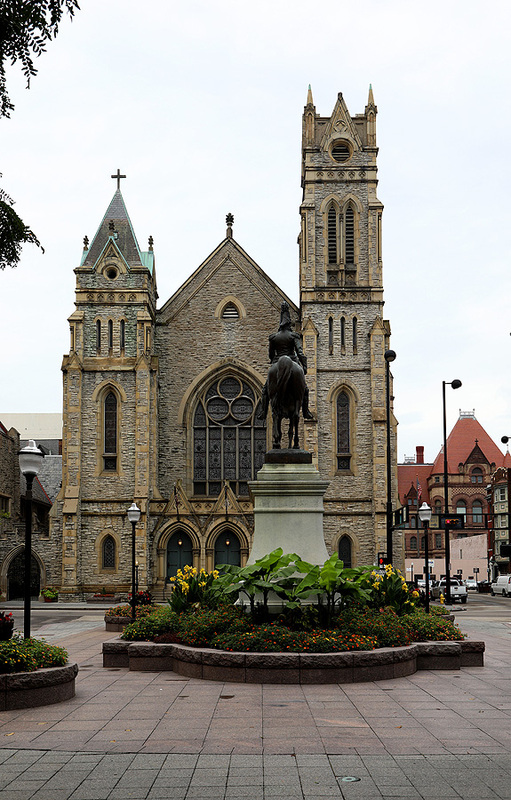 The mural depicts Lucius Quinctius Cincinnatus, the namesake of Cincinnati. 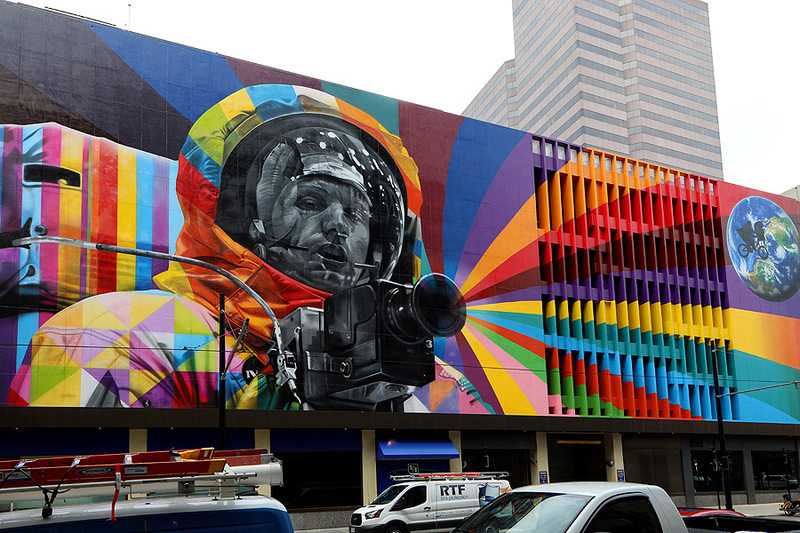 Eduardo Kobra's “Armstrong” mural is based on an April 1969 NASA photo of Neil Armstrong training for the Apollo 11 mission. 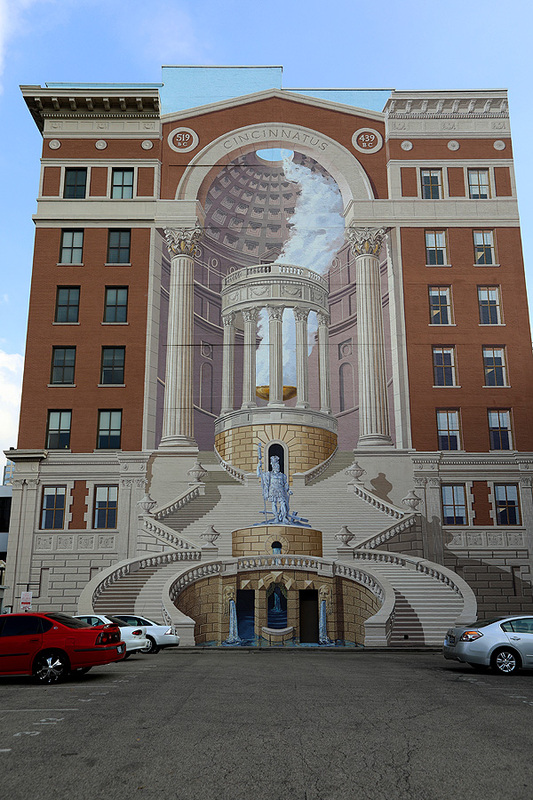 My last mural of the day was John Lanzador's “The Queen Shares” mural across from the JACK Casino. 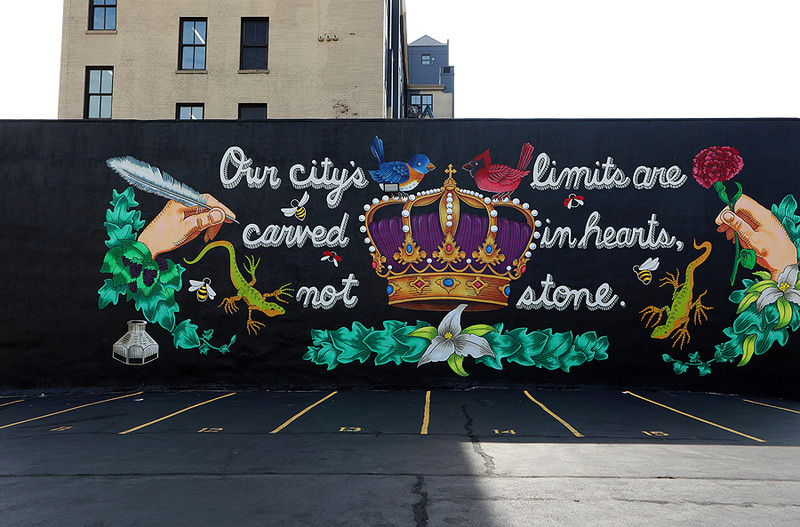 This mural is a permanent “love letter” to the Queen City, which Cincinnati is known, and to all who call her home. 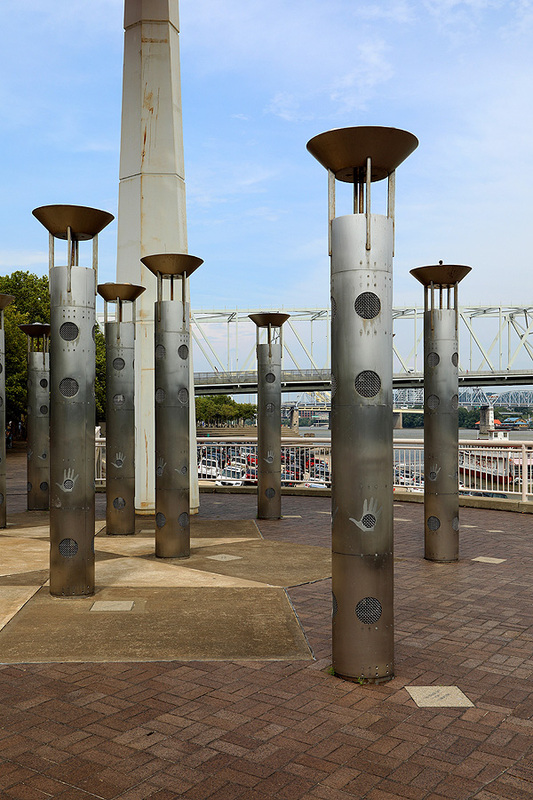 Other highlights of this day was the Cincinnati Firefighters Memorial in Greater Cincinnati Firefighters Memorial Park and Christopher Janney's National Steamboat Monument as well as “Whistle Grove”, which comprises 24 columns that surrounds the steamboat monument that will enable the electronically activated columns to make sounds, to be triggered by passing visitors, that will include calliope music, steamboat whistles and voices of storytelling river men. 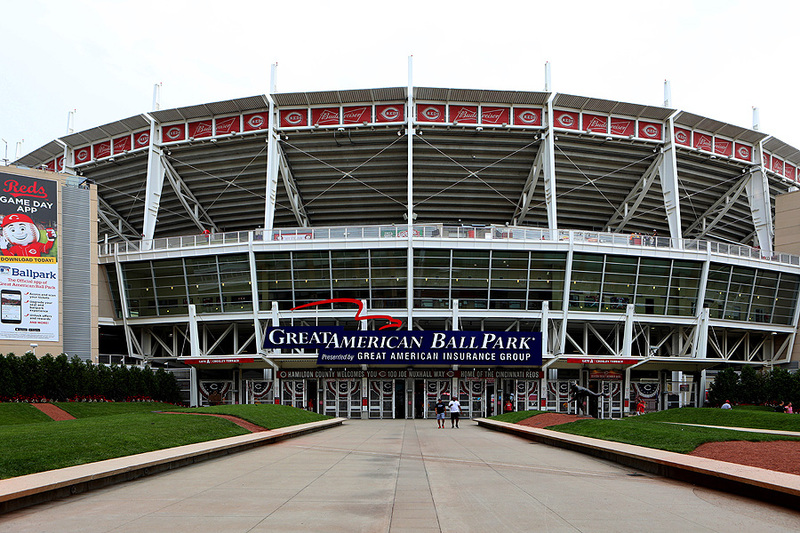 I ended my day at Great American Ball Park, home of the Cincinnati Reds baseball team. 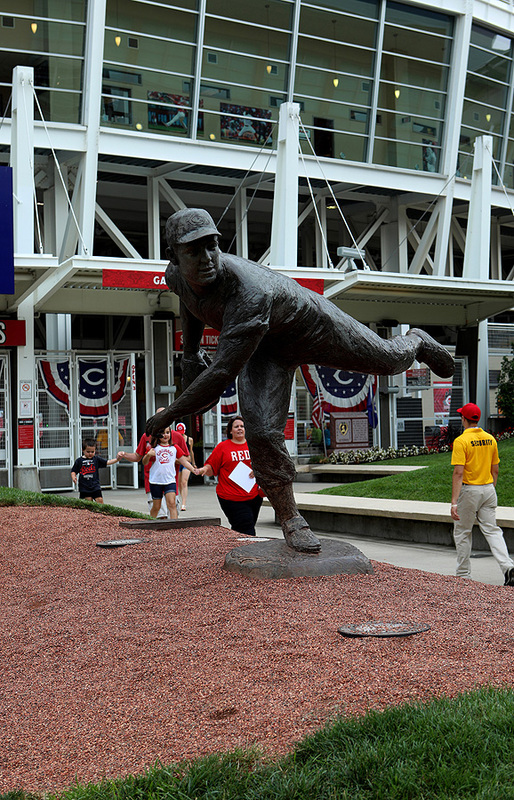 Walking up to the stadium, I photographed Mark Riedy's huge “The Spirit Of Baseball” sculpture. 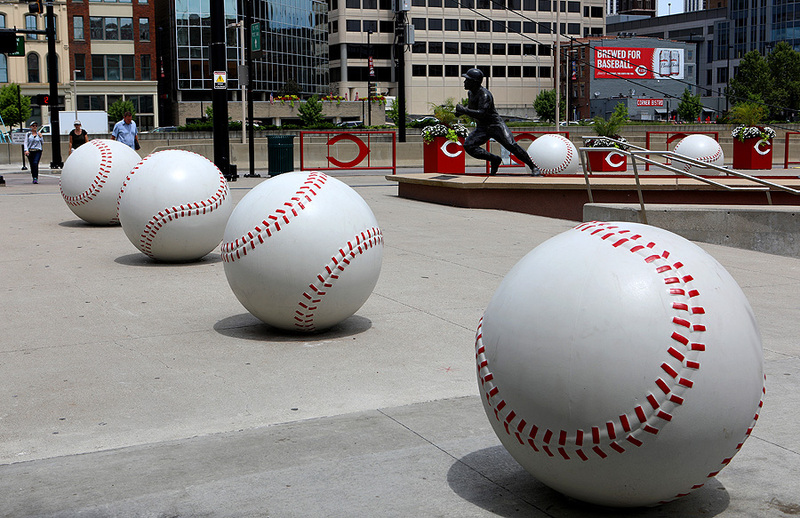 There were giant baseball sculptures along the side walk and a Cincinnati Reds Historical marker, which details valuable information about the team and its beginnings. 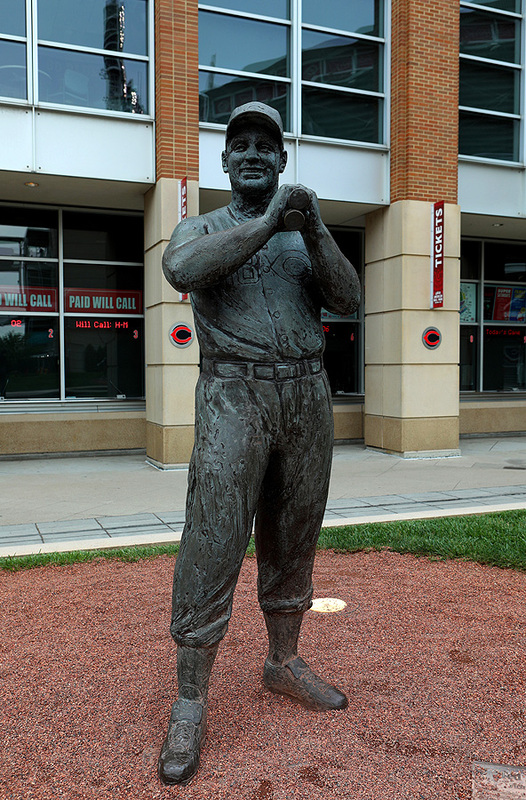 But the highlight of being at Great American Ball Park for me was seeing Tom Tsuchiya's life-sized statues of former players Joe Nuxhall, Ted Kluszewski, Frank Robinson, Joe Morgan, Pete Rose, Tony Perez and Johnny Bench. 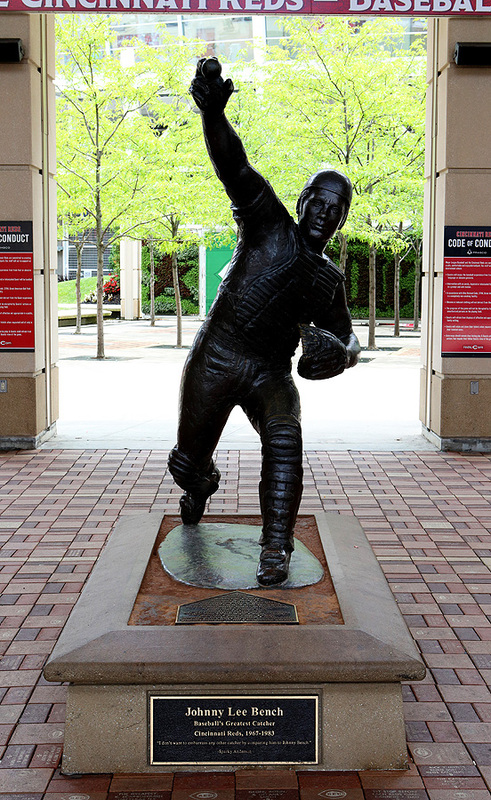 There was also a statue of catcher Eddie Lombardi that I missed.